CHILLICOTHE, Mo. – Trees turning crimson or gold and roads winding uphill and down, scenery will be featured at the 32nd annual Poosey Conservation Area fall tour noon to 4 p.m. on Sunday, Oct. 21. But visitors can also do some fishing, paddle a kayak, spot some birds, or scout hunting sites. Recreational Opportunities is the theme for this year’s tour at the Missouri Department of Conservation (MDC) area northwest of Chillicothe in Livingston County. The Poosey area has trails, lakes, and ponds. Hikers can follow a trail to the Panther’s Den along the tour route. Anglers can try their luck at Pike’s Lake or Indian Creek Community Lake or one of the area’s ponds. Tour visitors can drive on roads not normally open to the public for vehicles. The fall tour leads through rugged hills and a historical site once known as the Poosey community. MDC will have conservation education stations along the route. Visitors can talk with staff about forest and grassland management, wildlife habitat, and tips for improving fishing in ponds and lakes. The tour begins at Pike’s Lake. An entrance to the lake is reached off Route W and County Road 502. Gates open at noon and the last vehicle will be allowed to begin at 4 p.m. Gravel roads are graded but the route involves steep slopes and crossings in low areas. High-clearance vehicles are recommended. For tour information, contact MDC Resource Forester Samantha Anderson, 660-646-6122. Maps and information about Poosey Conservation Area are at http://bit.ly/2wSBSsD. 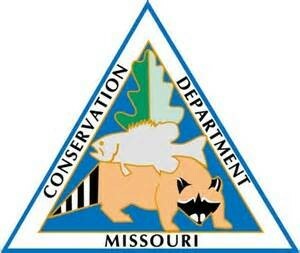 To learn more about conservation in Missouri, http://www.mdc.mo.gov.